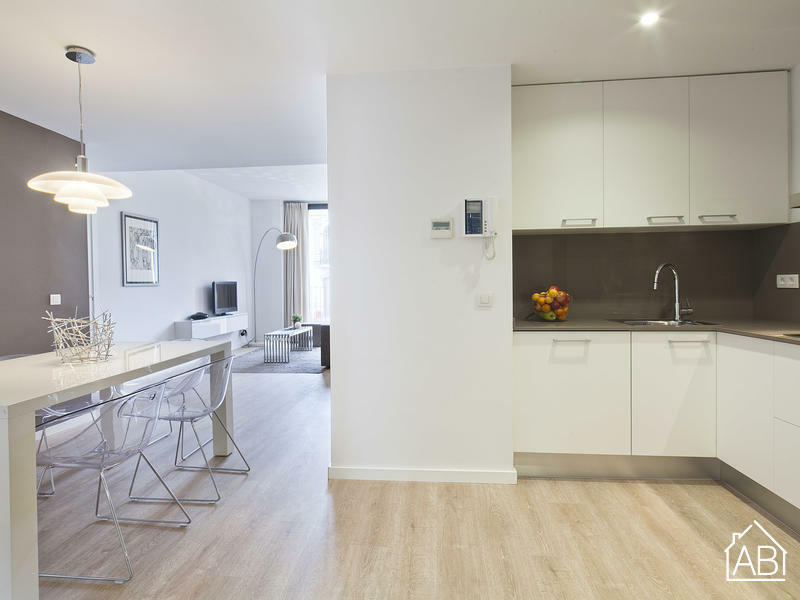 Situated just 600 metres from the famous Passeig de Gràcia, this luxury apartment offers a balcony and air conditioning. It is located just 70 metres from Girona metro station. The apartment sleeps up to 7 people across two double bedrooms, a single bedroom and a double sofa-bed. The apartment also has a beautiful living area with a sofa, flat screen TV and a dining table, complete with chairs. There is also an elegant kitchen area and two modern bathrooms.